What a week- my mobile is constantly breaking and it’s only once it goes you realise how reliant you are on it! 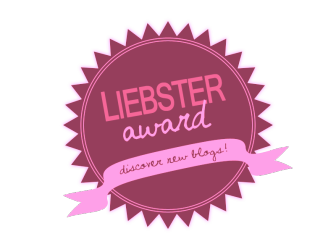 However in other news I had a few lovely comments from a few fellow bloggers nominating me for a Liebster Award, an award given to new bloggers to connect with others and learn from each other. What a great idea! My gorgeous fellow bloggers Tiffany and Julie have nominated me. This award comes with some rules, which involve answering set questions and then coming with 10 new questions for your nominees. You also can’t tag back, so this award connects new blogger to new blogger. My questions from Tiffany http://www.ajourneywithtiffany.com/ – I love the positivity in your blog Tiffany! 1.What is your all-time favourite meal that you could eat every day without fail? Gosh, so hard to decide! But right now I’m thinking some nachos or a good pesto pasta. 2.What is your favourite holiday? Christmas, for the good range of vegan goodies that come along, easy mince pie receipes and copious amounts of glitter. 3.Since going vegan, is there a dish that you would love to make vegan? This is hard to answer as most things can be made vegan! Maybe something like a creme brulee?- My mum once made an amazing ginger and rhubarb one! Or halloumi!! 4.Why did you decide to become vegan? 5.Do you like coffee or tea? 6.What do you like to do for fun? 7.If you could travel anywhere in the world, where would you travel and why? 8.What do you like to do on rainy days? Drink Hot Chocolate and snuggle with blankets. 9.Do you have a speciality dish? If so, what is it? My questions from Julie – your blog is so lovely, what gorgeous kitty cats you have. Can’t wait for your next update! 1. What is your favourite recipe? Cashew Cheese – so versatile and can be used to make so many things vegan, love it. 2. What was the most recent dessert you made? Chocolate brownies….yum yum, I need to blog this soon! 3. What is your favourite vegan cookbook? The Kind Life by Alicia Silverstone. Loved her since I was little! It’s a lovely read. 4. What is your favourite place to get vegetables (grocery store, farmer’s market, CSA, growing your own, etc.)? I love receiving them from friends and family, they always taste so much better homegrown! 5. If you could pick any animal to be for a day, which animal would you choose & why? Perhaps a Bird or Whale, to experience a completely different way of life, seeing miles above or the bottom of the sea! 6. Do you prefer sweet or savory dishes? Adore both, although still have a big sweet tooth. 7. What do you like to use as a vegan egg substitute? Banana is always natural and always good. 8. What was your favourite book as a kid? 9. If you could be a guest star in any TV show currently on the air, which show would you choose & why? I cannot think of any show I’d want to be on right now! Although doing Supersizers Eat.. With Sue Perkins would be fun, largely because they seemed to get a bit tipsy and be silly on it! 10. Which of your posts from this Vegan MoFo are you the most proud of? So here’s my list of lovely bloggers (check out their amazing blogs) nominees – no pressure to take part if you don’t want! 1. Jade from Jade Green Vegan I love your instagram page, and that gorgeous photo of you with your jumper from VegFest! 2. Emily from Emily Cooks Vegan I love the layout of your blog, such gorgeous food photos! 4.Jessica from Cruelty Free Cottage What a cute blog, and it’s great reading another blog of a twenty something vegan girl! 1. What was your most exciting/ useful vegan find? 2. What’s one thing you could make vegan that you are finding tricky to veganise? 4. What made you go vegan/eat more vegan foods? 5. What’s your favourite film? 6. Three guests to your dinner party – living or dead..
7. Favourite place to eat out/ get take out. 10. Your number one item on your Christmas wish list for 2014. Don’t forget to tag me in your answers! Julie thank you! I love what you are doing. Lots of ♥ to you!